NCIT is organizing an IT for Regional SME’s program, an exhibition and ICT Awareness Program for other industry Businesses in the Northern Province. It will be held in Jaffna Valampuri Hotel on 31st May 2017. NCIT is organizing this programme in collaboration with CCIY and ICT Agency (ICTA) of Sri Lanka is the National Partner of this national initiative. This programme is in-line with ICTA’s overall vision of creating a Digitally Inclusive Sri Lanka via empowering the citizens digitally. As an outcome of this programme, it is also expected the regional development of the Northern Province and building of business relationships between ICT solution providers and the other sector businesses of the same region. We invite IT SME companies from Northern province who are willing to showcase their products and solutions to participate in this event. Our exhibition focus is to expose IT SME companies in Northern Province to potential buyers in the Northern Province for them to experience first hand products and solutions available for them to improve their business activities. Only 20 Exhibitors will be selected. The company must have its presence or is able to service its customers remotely in Northern Province. The company which has membership in NCIT / CCIY and Conducting business from Northern province will be given priority for selection. 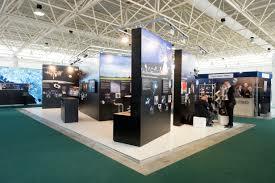 Exhibition space and promotions activities will be as per ICTA specifications. Only companies that are engaged in software product and solutions development are eligible to apply. Only selected companies will be notified via email based on information provided upon registration. Facilities Provided : Exhibition space / pod will be provided by NCIT including company on-site branding. NCIT along with ICTA and its partners in the program aims to bring business owners and decision makers. Company will be listed in NCIT member directory.